The Boricua Feminists Tote Bag was designed to honor, uplift, and amplify the social justice work of Puerto Rican women. Fundraiser: **All** proceeds will be donated to the Center for Embodied Pedagogy in Puerto Rico. Learn more about the organization here: www.decolonizepr.com. Backstory: After Hurricane Maria hit Puerto Rico in 2017, I wanted to help raise visibility, awareness, and money. I designed this logo to empower feminists to make their voices heard in the relief efforts. You can read a few posts on why the conditions in Puerto Rico are a feminist issue on my blog www.jessicapabon.com. 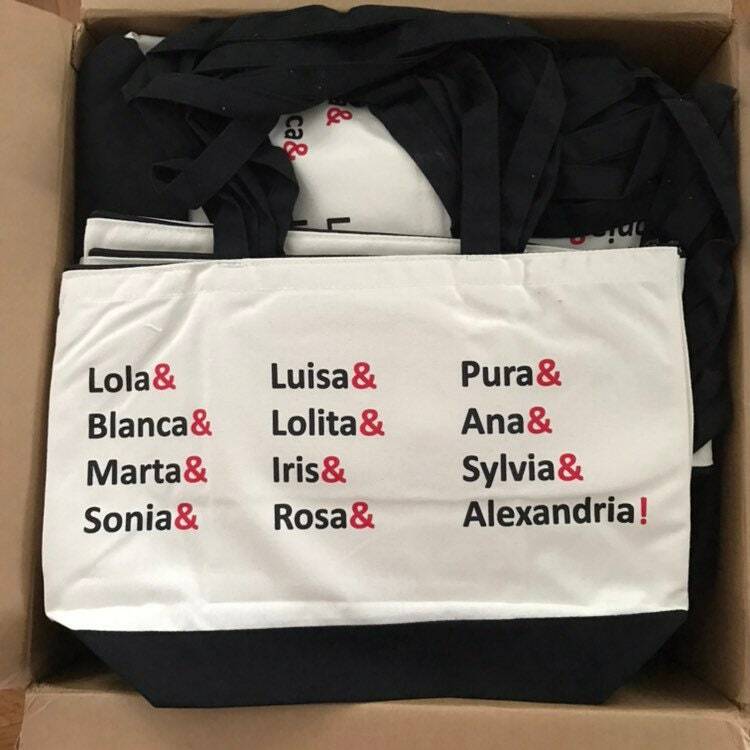 Design: The names are listed on one side and the #FeministsforPuertoRico logo and hashtag is printed on the other. Free Domestic Shipping: I will ship all bags USPS Priority Mail. If you need your bag shipped internationally, please message me! I’m in LOVE with this bag! It’s just the right size and sturdy enough to hold some books and two laptops while commuting on the train. I especially love the zip top. Now I can take my boricua idols everywhere with me. Love my bag! It's spreads the word and is sturdy and I love the zipper!